Wetlands are important ecosystems that carry out a variety of functions valuable to our earth's processes. Wetlands provide great water-holding capability, important during flood and drought, and take part in recharging groundwater supplies. They act as filters for pollution, food and habitat for wildlife, and are an important feature for holding carbon dioxide. This is to say, an area with soils saturated by water for periods long enough that they support vegetation suited for extended conditions of wet soil. THIS ISN’T A WETLAND, IT'S "SEASONAL RUNOFF"! Wetlands are not always cattail ponds and soggy marshes. For example, because of the large amount of land in NH that is covered by forest, you will find a significant number of forested wetlands. These wetlands may consist of low areas or depressions, drainages or channels. There may be features known as "pit and mound" where trees appear to be growing on small mounds of soil and are surrounded by depressed topography. A subsurface layer of soil material may be so dense that water permeates very slowly; creating a water table high enough that it is perched at or near the surface. All of these conditions may result in areas of saturated soil in a forest that then supports vegetation suited to wet soil conditions, forming a forested wetland. An Ames Associates certified wetland scientist is available to advise you as to whether the "soggy area" or "seasonal runoff" that appears at some point in the year meets the criteria for a wetland designation, and if so, carry out a boundary determination of the wetland area. The results are then reported to you, only. HOW IS A WETLAND BOUNDARY DETERMINED? Wetland delineation is a process that determines the boundary of a wetland. It is within this delineated line that approval must be obtained by NHDES and/or the local municipality before any impact can be made. 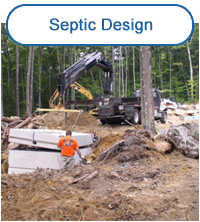 This line may also be used to determine required state and local setbacks for various development projects, such as location of a proposed septic system. Federal and state agencies have outlined three criteria that need to exist in order for an area to be determined as wetland under protective jurisdiction: plants requiring saturated soils (hydrophytes), soils saturated for a specified extended period of time (poorly or very poorly drained), and evidence of wetland hydrology (topography changes, depressions, channels, etc.). 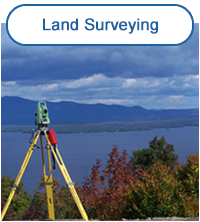 Our in-house certified wetland scientist will locate the boundary of your wetland area(s) using federal/state guidelines, soil and vegetation guides and a hand-held manual soil auger. Depending on your needs, the wetland boundary may then be marked with colored flagging to provide a visual indicator of that area. A hand-sketch of the wetland location, or a map created using surveying equipment, can be provided to the owner, along with a letter of findings by the wetland scientist. Unless the property owner requests it, no information regarding the wetland is submitted to outside persons or offices. WHAT IF I NEED TO IMPACT A WETLAND TO REACH A BUILDING SITE? 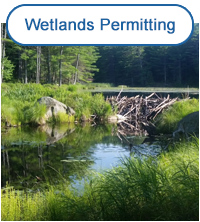 Application must be made to the NHDES Wetlands Bureau and the local municipality for impact to a wetland. Our office will help you determine if avoiding impact to the wetland is possible, and if it is not, how to minimize impact as much as possible. This information is of significant importance for a wetland impact application. CAN A WETLAND BE FILLED TO PROVIDE ROOM TO BUILD? With very few exceptions, NHDES does not consider filling a wetland for lot development an approvable request. 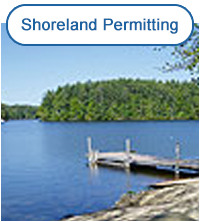 Should your lot appear to fall within one of those exceptions, our office can obtain information from the site and create a preliminary presentation for NHDES, at which time we would receive indication from the Wetlands Bureau as to whether wetland impact in that case could be considered approvable.